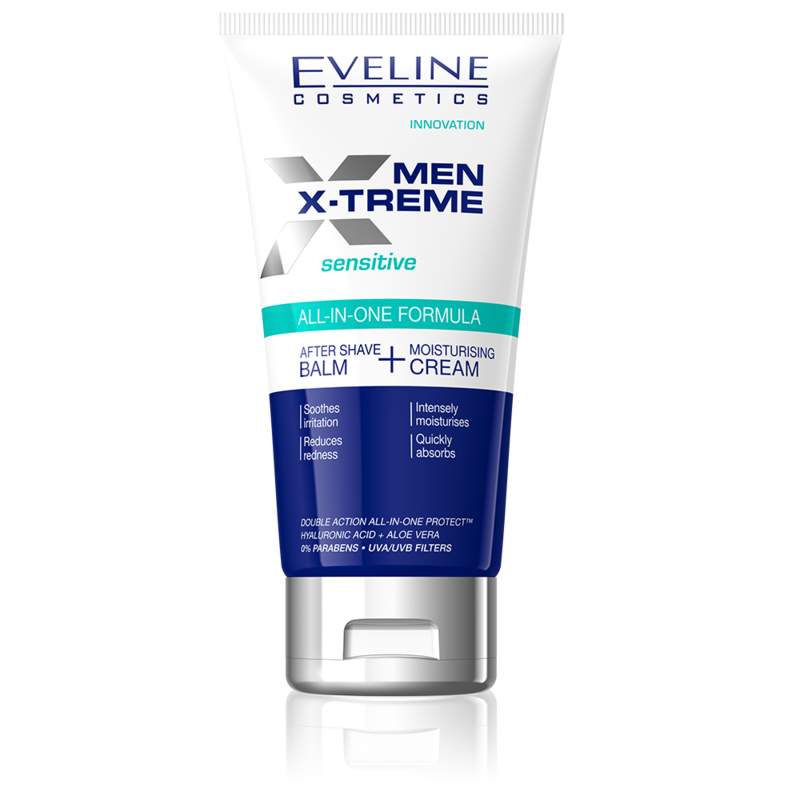 Innovative all-in-one formula of the cosmetic, recommended also for sensitive skin, immediately regenerates and intensely refreshes skin after shaving. DOUBLE ACTION ALL-IN-ONE PROTECT™ technology based on hyaluronic acid and aloe vera extract, ensures maximum moisturisation and effectively prevents dryness. Formula enriched with Coenzymes Q10+R intensely firms skin and increases its elasticity, as well as prevents wrinkle formation. Active ingredients: hyaluronic acid, aloe vera extract, coenzymes Q10+R, D-panthenol, allantoin, vitamin E, pro-vitamin B5.